Boss DXT Steel Plow 8’2” is equipped with more productivity-enhancing features than any other Boss V-plow. 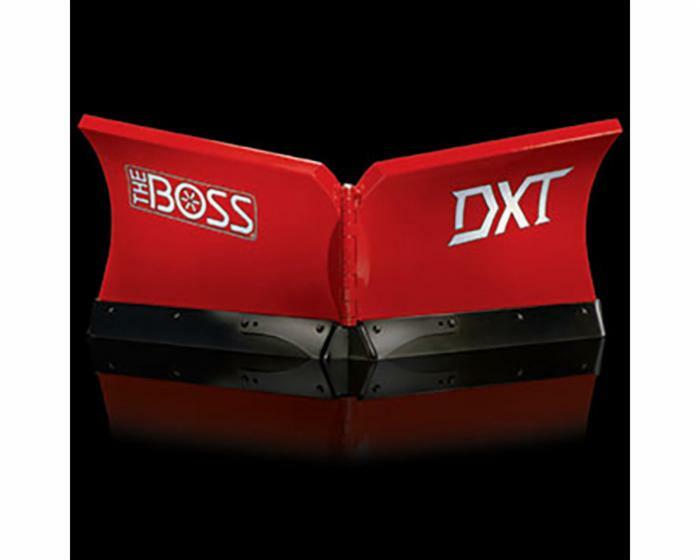 In addition to a strong, corrosion resistant blade, the DXT combines a trip edge and full moldboard trip for extreme protection from hidden obstacles. The DXT also utilizes flared wings and a curved blade for maximum snow throwing, as well as a multi-position frame for versatile performance.